Congratulations to Helen Mirren for receiving an Emmy nomination as Outstanding Lead Actress in a Miniseries or Movie for “Phil Spector”. The HBO biopic on the infamous trial has received a total of 11 Emmy nominations, including for Best Miniseries, Best Director (David Mamet) and Lead Actor (Al Pacino). 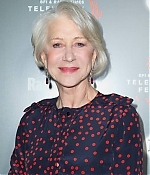 Helen Mirren shares her category with Jessica Lange (American Horror Story: Asylum), Laura Linney (The Big C), Elisabeth Moss (Top of the Lake) and Sigourney Weaver (Political Animals). This is Helen Mirren’s 11th Primetime Emmy nomination. She holds the record in the Lead Actress in a Miniseries or Movie category with four previous wins for “Prime Suspect: The Lost Child” (1996), “The Passion of Ayn Rand” (1999), “Elizabeth I.” (2006) and “Prime Suspect: The Final Act” (2007). The 65th Annual Primetime Emmy Awards, hosted by Neil Patrick Harris, will air live on Sunday, September 22 (8pm ET / 5pm PT) on CBS. According to Deadline, Helen Mirren will be starring in The Hundred Foot Journey, DreamWorks Studios officially announced today. 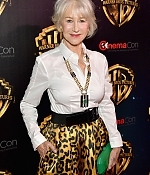 Deadline’s Mike Fleming Jr first reported in early June that Helen Mirren was circling the project to play eccentric and famous chef Madame Mallory. Mirren will be joined in the adaptation of Richard Morais’ bestseller by Manish Dayal from 90210 and ABC Family’s Switched At Birth in the role of Hassan Haji. Lasse Hallstrom will direct the culinary competition drama about an Indian restaurant and a three-Michelin-star joint literally across the street from each other in Southern France. Steven Spielberg, Oprah Winfrey and Juliet Blake are producing. Steve Knight wrote the screenplay for the film, which is set to begin production this fall in France and India. The Hundred Foot Journey will be released on August 8, 2014. The Walt Disney Company is distributing the film in the United States and in select international territories, while Mister Smith Entertainment is handling distribution in Europe, Africa and the Middle East. DreamWorks’ partner Reliance will distribute the film in India.